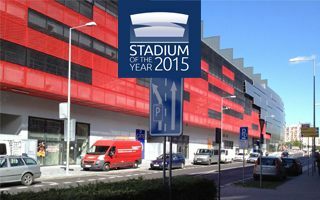 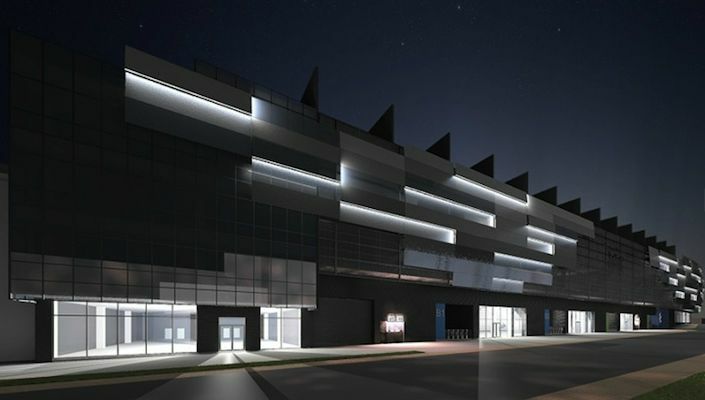 The stadium is part of a private Project by Euro MAX, Slovak leader in shopping mall development. 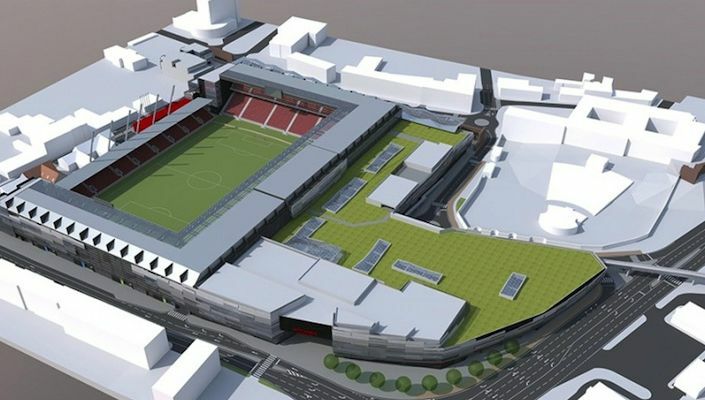 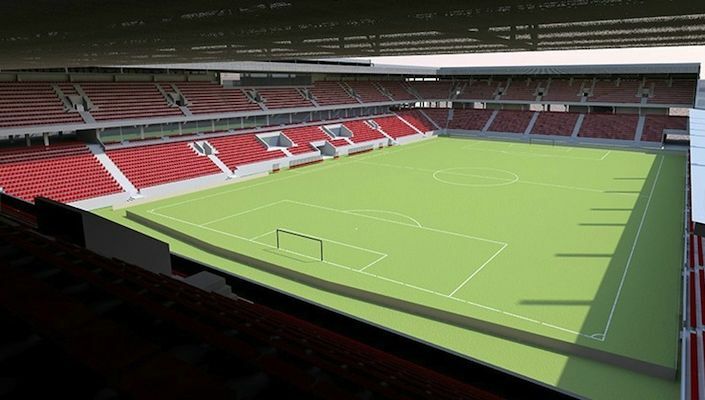 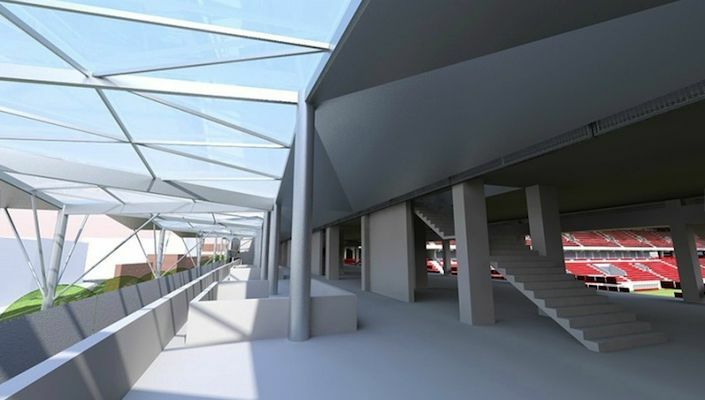 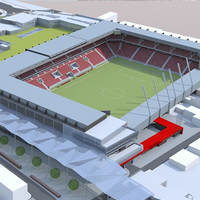 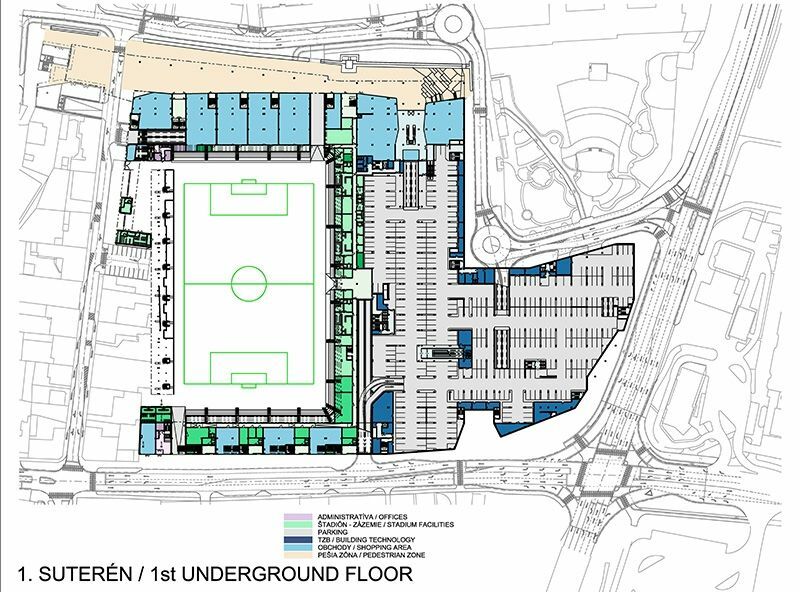 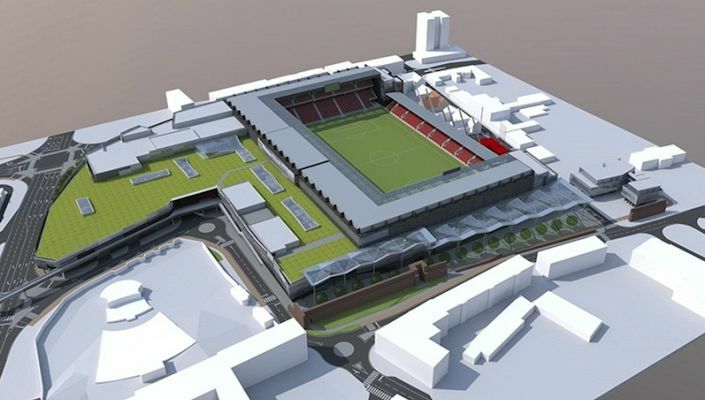 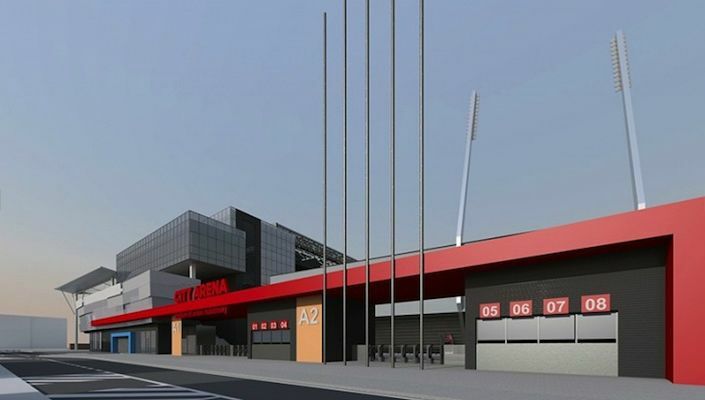 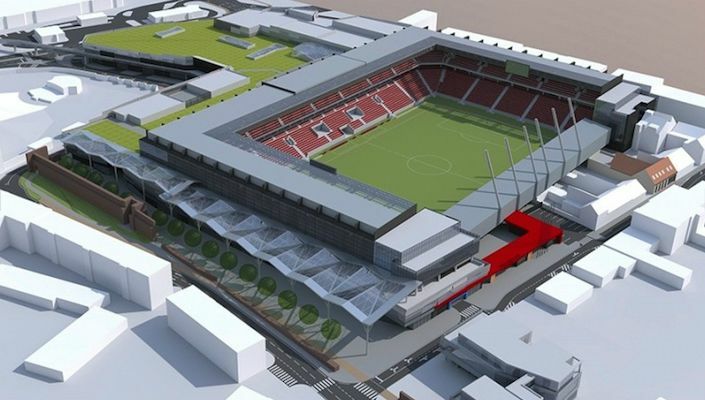 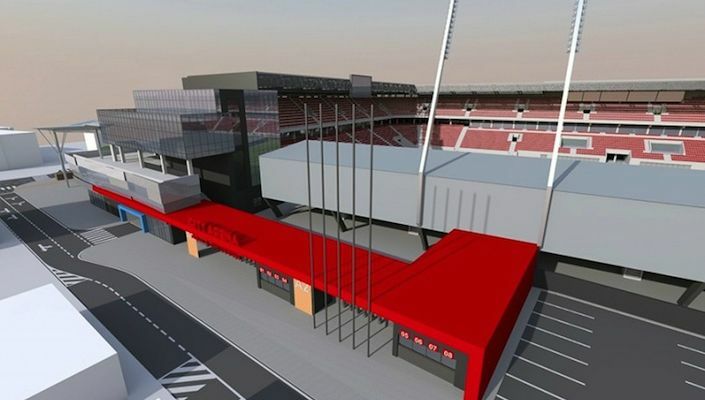 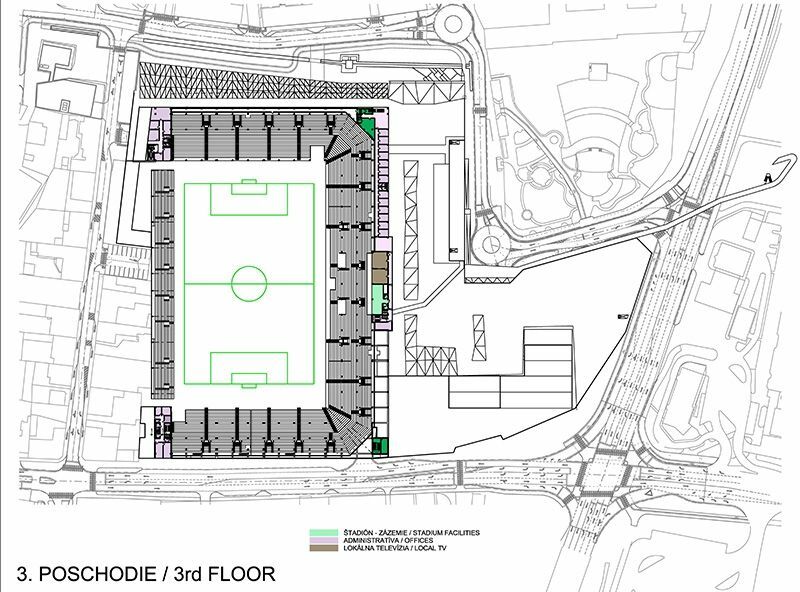 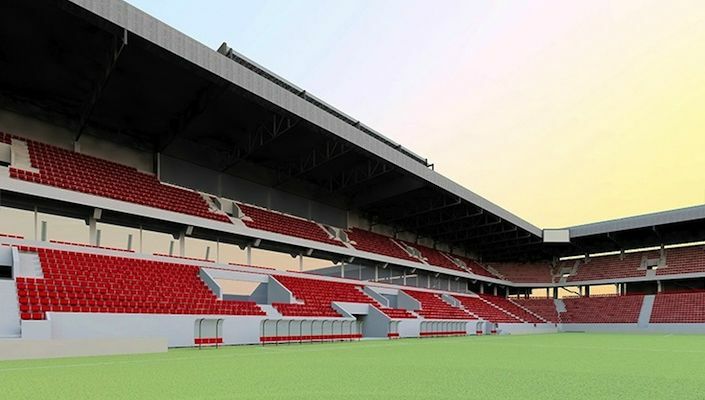 Thanks to the very attractive location near the heart of Trnava, the stadium will be rebuilt for some 15-16 million ($20-21m) in return for Euro MAX getting their shopping mall (priced at some €50 million). 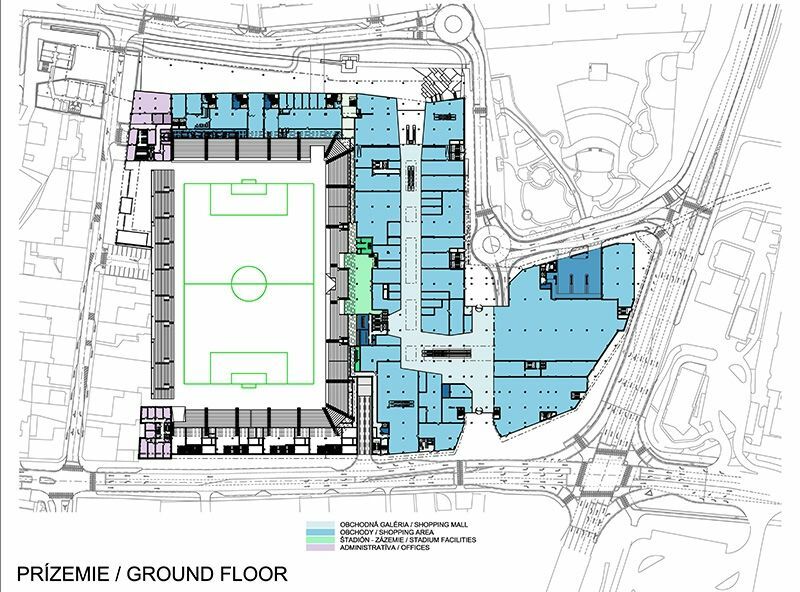 The mall will provide 1,150 parking spots on two levels (shops consuming old car park), while shops will take further two floors. 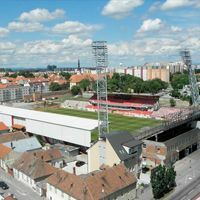 Slovakia’s largest stadium was built within a very reasonable budget and timely construction. 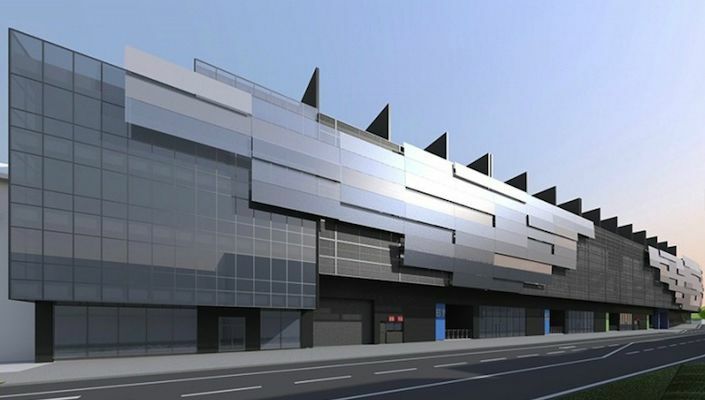 Adding to that, it had serious spatial constraints, determining its final shape. 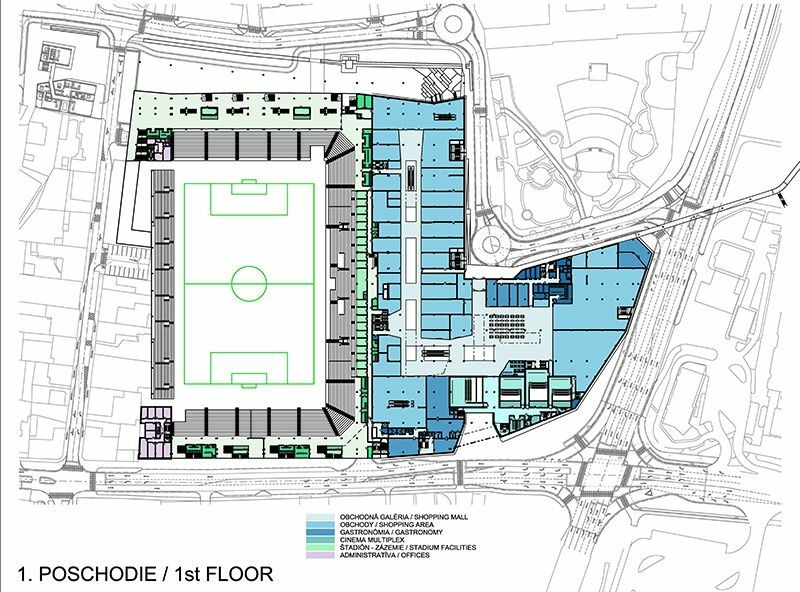 And still it meets highest requirements. 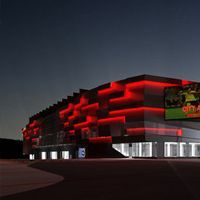 Second half of September should see the groundbreaking ceremony and cornerstone installation at the City Arena construction site. 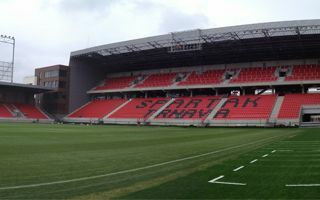 Meanwhile already now the three old stands are almost completely destroyed, making way for new structures.